» How to add a form to a Microsoft Access 2016 application? How to add a form to a Microsoft Access 2016 application? “I am pretty new to Access. Could you explain how can i create a form to allow s the user to add some entries into a table”? Thanks for the question. Read on for the step-by-step explanation. 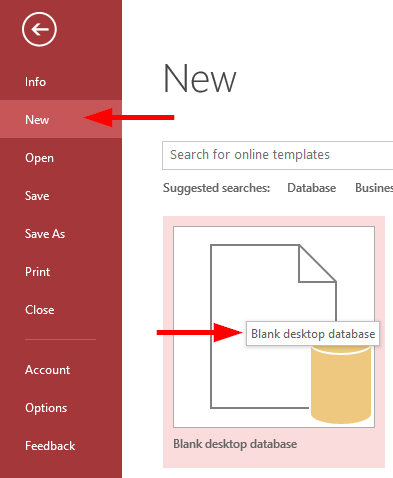 Open Access 2016 and click on New then select Blank Desktop database. Now you’ll be creating a table and its columns. For this example, we’ll use a dummy Employees table. Define your table columns. Those can be of either number, currency, short text type. After creating columns save your table. To create a form click on Create and select form wizard to modify the form formats. Form can also be created by click on create and form, but form wizard allows us with various options at the beginning itself. In Table/Queries, include the name of the table that we previously created. Available fields shows the fields that are available in the table. 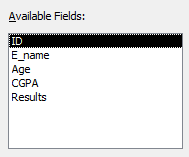 Click << to include all the field in Selected fields and vice versa (>>). Click < to include on the fields that are selected into selected fields and vice verse (>). The layout of the form can be columnar, tabular, datasheet, justified. Select anyone of the layout and click next. Enter the title for the form and check on modify the form’s design to modify the form. If needed, we can go directly to open the form and enter information and click Finish. 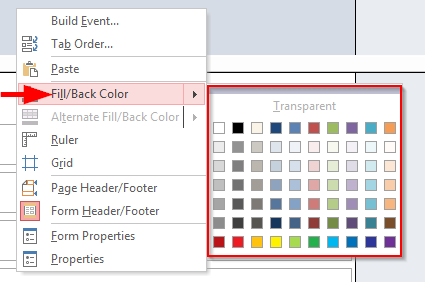 To insert a background color into the form right click on the background, select fill/back color and click on the needed color. If needed align the headers and field by using the drag pointer. To insert a background image click on format in the ribbon, select the drop down box of background image and hit browse. Then browse through the images and click OK.
To add more controls to the form, click on Design and select the controls like button, combo box, text and so on. 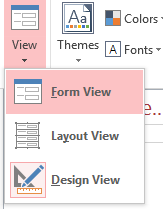 To finish the form and use it, click on design and select Form view in the view drop down box. Save the entered records and we can find the entered values into the table. For complex data entry, you might add sub-forms to your form. Advanced users might add custom functions to forms using VBA or Visual Basic for Applications.